Summary: Yes! It's true! This recipe for gluten free quiche is not just eggless but completely vegan! 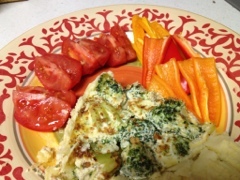 Not only that but it is an easy and delicious vegan quiche! And it even tastes like that other quiche, cheese and bacon and all! And this recipe does *not* use Daiya cheese, or any other vegan cheese product! So, without further ado, here is our recipe for yummy gluten-free vegan quiche! Yes! It’s true! This recipe for gluten free quiche is not just eggless but completely vegan! Not only that but it is an easy and delicious vegan quiche! And it even tastes like that other quiche, cheese and bacon and all! And this recipe does *not* use Daiya cheese, or any other vegan cheese product! 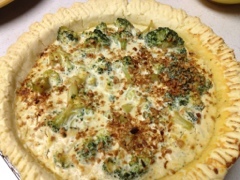 So, without further ado, here is our recipe for yummy gluten-free vegan quiche! Place tofu and soy milk in blender and blend until creamy. Pour into mixing bowl and stir in remaining ingredients. Pour into pie shell and bake for about 30 minutes or until crust edges are done and quiche is set. OOO this looks so good! I’ve been looking everywhere for a good vegan quiche recipe. I will definitely have to make this and feature it on my blog. Thanks!